Hindi Lyrics 4 U: Lyrics Of "Titli" From Latest Movie - Bollywood Diaries (2016). 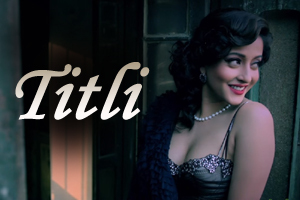 Lyrics Of "Titli" From Latest Movie - Bollywood Diaries (2016). This song has two version sung by Papon and Soumen Chaudhary, while music is composed by Vipin Patwa. Lyrics in Hindi (Unicode) of "तितली"